This post has been sponsored by Amopé. All thoughts and opinions are my own, of course! Vacations are beyond exciting. You look forward to them for days, months, sometimes even years. But of course, like any good procrastinator (if there’s such a thing), I always wait until the last minute to get my prep on. When a warm-weather vacation is impending, it requires a bit of extra work, like prepping my skin to be a bit less ghostly and making sure my toes are in tip top shape with a DIY pedicure. When I’m really crunched for time, I often will leave the work to the professionals. Lately, we’ve had some other things come up that have made me give a second look to my budget, which means cutting unnecessary expenses like manicures and pedicures. With all the items available to me at home to give myself a pedicure, it seemed silly to pay the big bucks at the resort to get one when I could do it myself ahead of time. 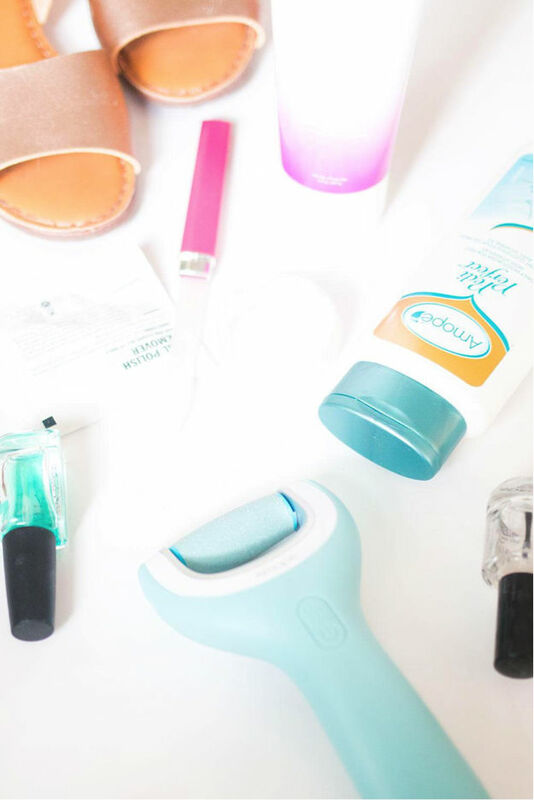 For any DIY pedicure to be a good one, you’re going to want to make sure you have all of the items you need right at your fingertips. Because my hands and feet tend to be dry all year round, that means using a lot of products to get my skin silky smooth and rehydrated. The first thing I grabbed was my Amopé Pedi Perfect Wet & Dry™ Rechargeable Foot File, which I found down the foot care aisle at my local Target. The Amopé Wet & Dry Foot File gently removes rough skin, leaving my feet feeling smooth. It’s so easy to use too! 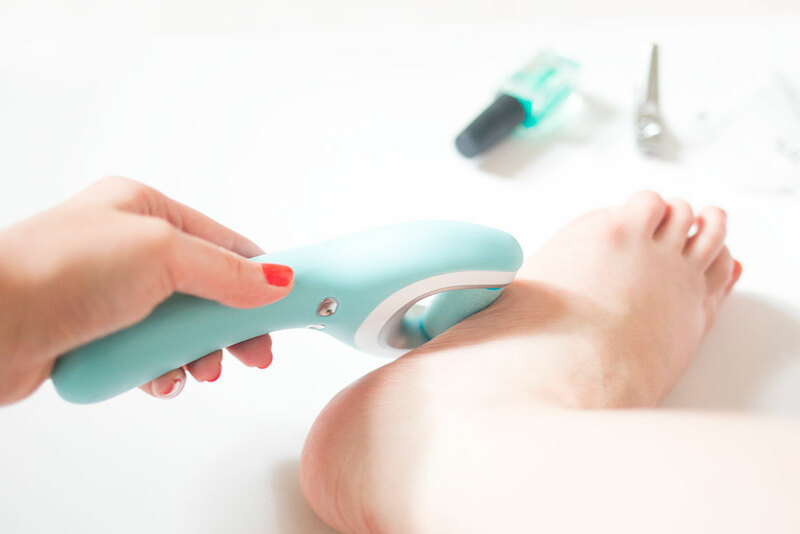 Just charge it up, then turn it on and gently rub it along the tough parts of your foot, like heels and calluses. It can be used in the shower on wet feet, or out on dry ones. Totally up to you! 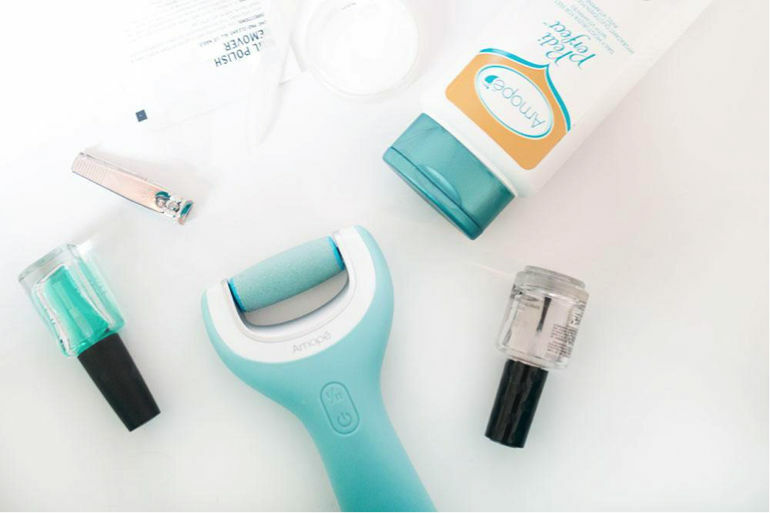 By the way, Target has an exclusive Cartwheel offer that will score you 5% off the Amopé Wet & Dry™ Rechargeable Pedicure Foot File through June 30th! A killer foot file and a discount? Treat yourself! When I’ve finished filing, I wipe off and dry my feet. The next thing I want to do is hydrate my skin, and I love the Amopé Pedi Perfect™ Daily Moisturizer too. It’s also become a nighttime ritual for me (along with hand cream and lip balm) now that it’s sandal season. The moisturizer is lightweight and the scent is light and fresh. I don’t know about you, but the overwhelming minty scent of many other foot products can be a turn-off, which is why I’ve been so pleased with this one! Once my feet as a whole are feeling a hundred times better, it’s time to focus on the nails. For me, removing the old polish and a good trim instantly improves the appearance of my toes. I’ll also apply a cuticle cream to make sure that the nail beds are extra hydrated. With a nail color already chosen, I’ll add a base coat, then the color on top. Finally, I finish off my nails with a top coat, making sure to run a horizontal line across the end of the nail to prevent chipping. Now with all that said, it’s wonderful to go on your vacation all prepped and polished… however, sometimes the best intentions don’t always work out. Take my trip to Vegas as an example. The day before we left, I happened to pull a pair of shoes out of storage that I hadn’t worn since last spring. I had forgotten that they were tight across the footbed, and I ended up wearing those all day long at work, to run an errand several blocks from my work, and in the airport. By the time we arrived at the hotel that evening, my feet were screaming. The next morning, I woke up to 4 ginormous blisters. Not cute. 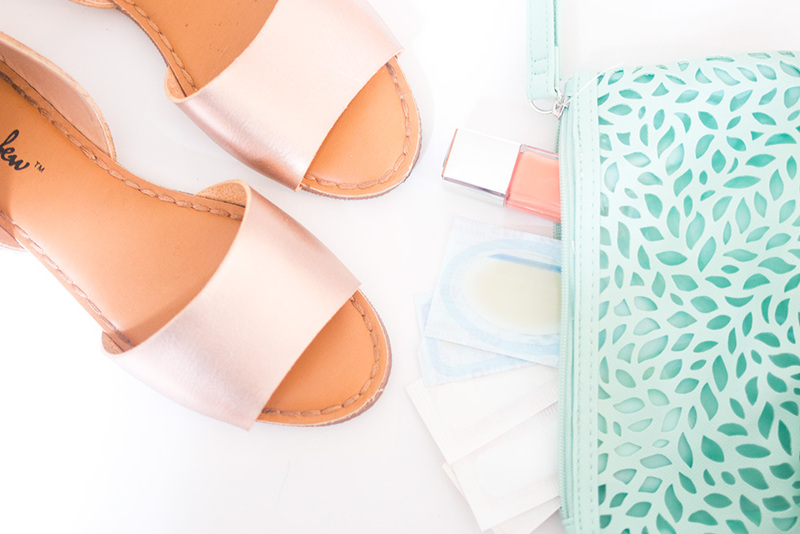 Because emergencies happen, I wanted to share some items that I think are worth packing for your next vacation so you’re not making 500 trips to and from the drugstore like I did. Since my last trip, I’ve put all these items into a small bag in my suitcase so they’ll always be there. Yes, they’re that important! Now that you have the perfect pedicure, you’re all set for your vacation! How do you get vacation ready? Do you like to indulge in DIY pedicures at home? I’d love to hear how you get the perfect pedicure in the comments below! I totally need to do this. Sounds like heaven. What an awesome tool! Will definitely check it out!